What do you think when you pull into a parking lot that’s filled with potholes, cracks, and other types of deterioration? If you’re anything like us, then you probably don’t think very highly of the parking lot. In fact, it might even make you want to scream in terror, turn your car around, and never go anywhere near the commercial parking lot again. Here at Asphalt Pavement Solutions, we don’t want that to happen to anyone, which is why we’re all about keeping your asphalt in tip top shape to keep you and your visitors happy. 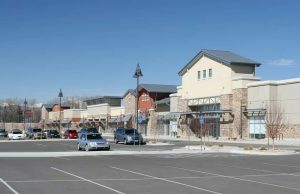 If you and your business can be found in Bucks County, Burlington County, Camden County, Mercer County, Monmouth County, and Montgomery County in Pennsylvania and New Jersey, or any of the surrounding areas, then please consider our team here at Asphalt Pavement Solutions for commercial parking lot repair or shopping center asphalt repairs. Nothing’s more appealing to customers than seeing a beautiful and smooth parking lot. Whether you’d like a newly paved parking lot or just parking lot repairs, we can take care of your needs. We offer a broad range of services to fill those cracks and potholes, smooth over those surfaces, and put some color back into your pavement. Our new asphalt will not only beautify your parking lot, and make it attractive to the customers who come to your location, but it will also protect and preserve it for many years to come. When asphalt is properly installed and regularly maintained, it can last for up to 25 years. That’s a quarter of a century! 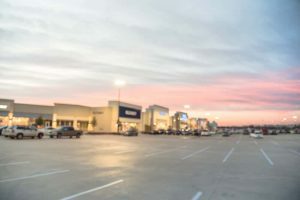 If yours doesn’t last that long, you can take comfort in the fact that at Asphalt Pavement Solutions, we offer commercial parking lot repair to bring it back to the way it should be. What Can Cause Damage to Pavement? Ultraviolet (UV) rays – Or in other words, sun rays. Asphalt is made up of sand, rock, and aggregates, which are held together by a binder. UV rays can break down the binder, which means there’s nothing to hold the sand, rock, and aggregates together. Heavy vehicles – Believe it or not, vehicles can be your pavement’s number one enemy. Delivery trucks and garbage trucks put lots of weight on asphalt, and once it begins to breakdown from oxidization (exposure to oxygen), the asphalt will begin to lose flexibility and can crack. Water – Whether this water comes from rain or people washing their cars, there’s no doubt that it can cause erosion and damage to asphalt. If you already have cracks in the pavement, and water gets inside, you may be facing even more damage. If you’re in need of commercial parking lot repair, and you’re located in Bucks County, Pennsylvania, Burlington County, New Jersey, Camden County, New Jersey, Mercer County, New Jersey, Montgomery County, Pennsylvania, or another local area, please contact us today!